As an Indie Author, you need to make your mark on the world wide web with an indie author blog. But that's just part of the story behind what we call your Author Platform. 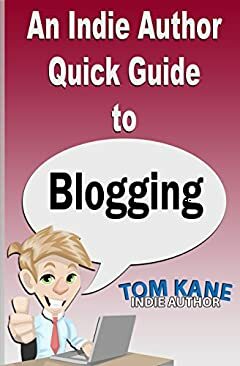 If you're not sure where to start, An Indie Author Quick Guide to Blogging will reveal the lowdown on blogging basics, how to set up a wordpress.org site as part of your website and what makes a good blog. There's references to all the tools and all the tricks of your chosen trade, to help you get started. Plus there's advice on setting up your website including domain name and hosting as well as advice on how to obtain readers for your blog and ultimately sales for your books, plus much more.